In the November of last year, Apple seeded the initial beta release of iOS 5.1, which as usual was available to registered members of the iOS developer program. The first beta build of 5.1 (9B5117b) was available as download for the iPhone 4S, iPhone 4, iPhone 3GS, iPad, iPad 2 and the third and fourth generations of iPod touch. The release notes provided did not contain any specific feature additions, therefore making it difficult to determine what is likely to be included in iOS 5.1 when it is publicly released. However, it has been rumored that Apple is planning on adding some additional functions to the intelligent voice assistant, Siri. 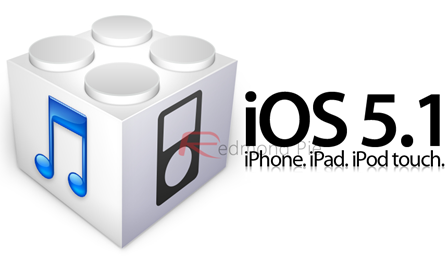 The first beta release of iOS 5.1 also saw the release of Xcode 4.3 (build 4D1002) to developers. 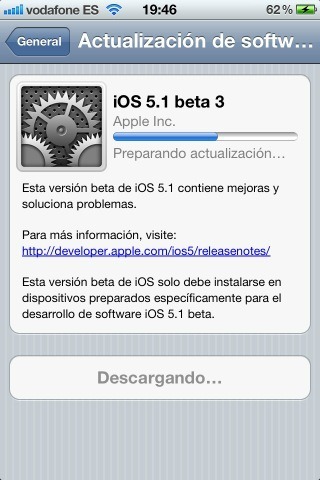 Two weeks before Christmas day, the company then released beta 2 of iOS 5.1 which was given build number 9B5127c. One update included in this release was the ability to delete images from a users photo stream which is a definite bonus addition consider the previous alternative was delete all or nothing. As per all beta releases it was available for download to registered developers. To allow further testing and development, the Cupertino based company has today seeded iOS 5.1 beta 3 to all developers on the program. The latest version is given build number 9B5141a. At the time of writing the update was only available as an over the air update via the device and was not showing up in the developers portal via the website. The latest beta weights in at a 76.3MB download and it looks as though Apple are giving nothing away with what it contains with the release information saying "This beta version of iOS 5.1 contains bug fixes and improvements." If you are currently running iOS 5.1 beta 2 it may be worth while checking your settings application to see if an over the air update is available for you. Make sure to connect to Wi-Fi for the download so as to not receive any cellular data charges due to the relatively large download. If the update is not showing by either method, stay patient, it should be added to the developer program website imminently.